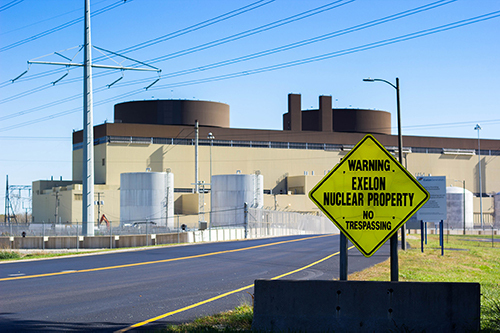 Problems persist a decade after discovery of chronic radioactive leaks at Exelon plants. This story, the first in a series, is distributed with The Associated Press. Radioactive waste continues to pour from Exelon’s Illinois nuclear power plants more than a decade after discovery of chronic leaks led to national outrage, a $1.2 million government settlement and a company vow to guard against future accidents. Reporters Brett Chase and Madison Hopkins break down "Power Struggle." Shot by Alex Garcia. Produced by Mia Sato/BGA. The most recent leak of 35,000 gallons occurred over two weeks in May and June at Exelon’s Braidwood plant southwest of Chicago, and was ongoing even as state inspectors were at the plant and being assured by Exelon officials there were no problems. Braidwood is the same facility that was the focus of a community panic in the mid-2000s after a series of accidents stirred debate over the safety of aging nuclear plants. Illinois' six active nuclear plants. Click or touch and drag to navigate. A 2014 incident at Exelon’s Dresden facility in Grundy County involved the release of about 500,000 gallons of highly radioactive water. Contamination was later found in the plant’s sewer lines and miles away in the city sewage treatment plant at Morris. Another leak was discovered in 2007 at the Quad Cities plant in Cordova. It took eight months to plug and led to groundwater radiation readings up to 375 times higher than that allowed under federal safe drinking water standards. Exelon had threatened to close the Quad Cities plant but relented last year after Gov. Bruce Rauner signed bailout legislation authorizing big rate hikes. Representatives of Exelon and its government overseers — the U.S. Nuclear Regulatory Commission, the Illinois Emergency Management Agency and the Illinois Environmental Protection Agency — say the leaks posed no public danger and did not contaminate drinking water. Exelon said to prevent leaks it has spent $100 million over the last decade on upgrades at its plants in Illinois and elsewhere in the U.S.
Michael Pacilio, chief operating officer of the power generating arm of Exelon, said no one in or around the Illinois plants was harmed by radioactivity from the leaks, which he described as minor compared with everyday exposures. “We live in a radioactive world,” Pacilio said. Among the 61 nuclear power plants operating in the U.S., more than half have reactors that are at or near the end of their originally expected lifespans — including the Dresden and Quad Cities plants. 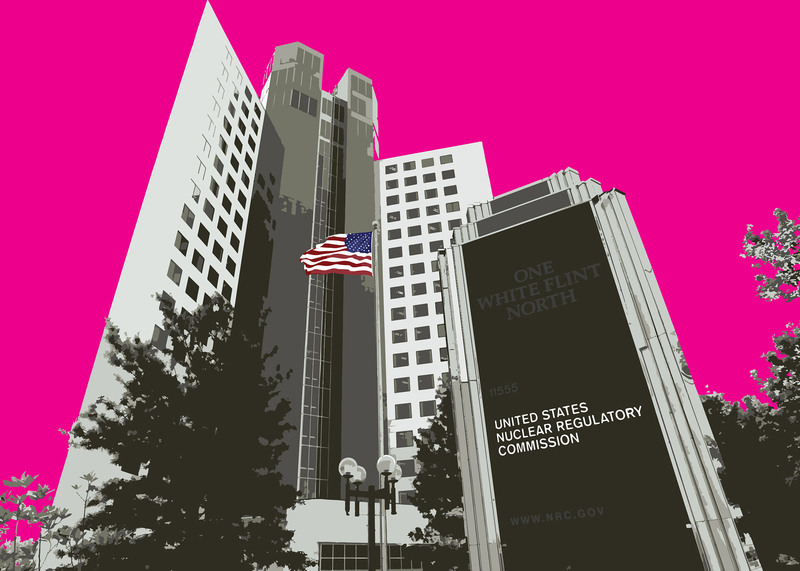 Industry watchdogs and government whistleblowers contend oversight is compromised by a cozy relationship between companies and the NRC. Government regulators concede they have to balance the safety needs of aging plants, which require more maintenance, versus ordering cost-prohibitive upgrades at facilities that inherently are just a slip up away from catastrophe. That working relationship between government and industry provides little comfort to neighbors of nuclear plants. 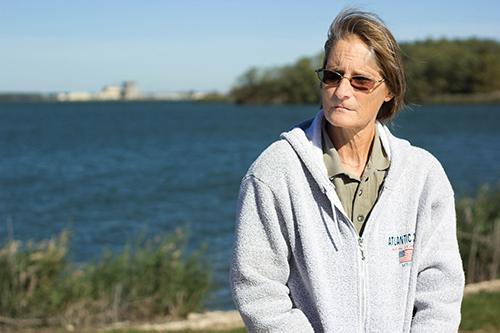 Kim Cole, who has long lived near the Braidwood power station, said she doesn’t trust government officials to hold Exelon accountable and keep her community safe. “We’re not going to get answers because they have to protect their own,” said Cole, referring to the NRC. 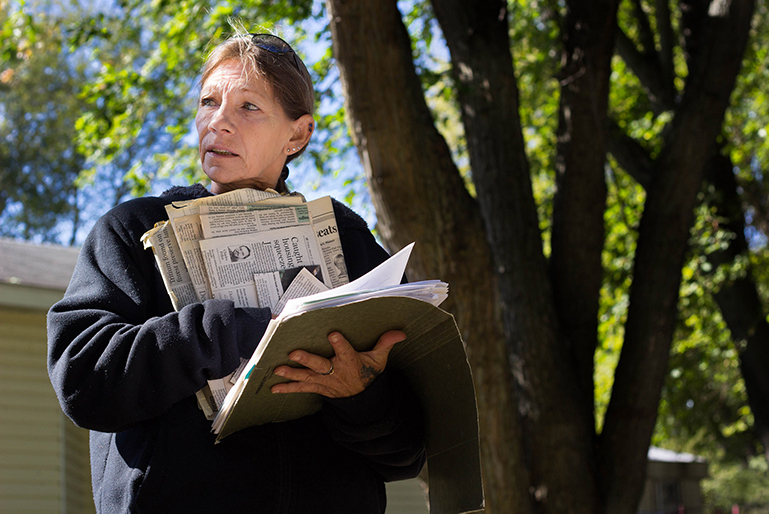 Cole once dared NRC officials at a public meeting to drink water taken from her home that she feared was radioactive. No one took her up on the offer. No player in the nuclear industry is bigger than Exelon, the Chicago-based energy company that last year reported $31 billion in revenue and operates 14 nuclear plants in Illinois, New York, New Jersey, Pennsylvania and Maryland. Five of the six plants it now runs in Illinois reported leaks over the last decade, records show. Clinton, in DeWitt County, had no leaks and Byron, in Ogle County, reported only one that contained low levels of radioactivity. The accidents included in the BGA analysis are separate from government-approved releases into large bodies of water. The state allows Exelon to discharge controlled amounts of tritium into rivers and lakes, where radioactive material gets diluted. Other releases of tritium, however, can be illegal and subject to fines and government lawsuits — though no accidents from the past decade resulted in either. Government officials say small amounts of tritium — a radioactive form of hydrogen and a potential marker for more dangerous nuclear contaminants — are not harmful to humans but exposure to higher levels may increase the risk of cancer. At least seven of the 35 documented accidents since 2007 involved contamination of groundwater. Other contamination was found in sewers and other water systems where it isn’t supposed to be. The recent leaks echo the controversy in 2006 when it was revealed leaks at Braidwood over many years spilled 6 million gallons of radioactive water, some of which found its way onto private properties and at least one private drinking well. A number of residents around Braidwood and other nuclear plants draw water from private wells. At the time, Exelon and state regulators assured the public radioactivity levels in the private well were far below limits deemed a danger. Neighbors of the Braidwood plant were skeptical then and remain so. “The NRC gets all its numbers from the nuclear plant. How can NRC trust the numbers?” asked Monica Mack, who lives in Braceville near the plant and has been tracking its environmental reports for more than a decade. Of the 35 documented incidents, 27 occurred at Dresden. Following the big 2014 leak, which emanated from an aboveground storage tank, Exelon asked a state inspector whether the public would have access to the incident report under open records laws, a state report showed. An NRC report on the 2007 Quad Cities leak noted radiation levels went “well beyond that seen anywhere else in the industry” and that plant staff estimated the leak had been active for years before it was discovered. In 2010, Exelon’s Marseilles generating plant in LaSalle County reported a spill from a storage tank, initially estimated at more than 150 gallons but later classified as “unknown.” Groundwater tritium tests later showed levels 59 times the EPA’s drinking water limit. Exelon said no tritium left the plant’s boundaries, but records show plant workers continued to monitor a body of highly contaminated groundwater sitting on plant property at least five years after the accident. In 2009, Dresden reported another hole in a storage tank led to a leak of as much as 272,000 gallons of radioactive water. Onsite groundwater testing showed levels of tritium 160 times higher than allowed under federal standards for drinking water. In addition to incidents specifically labeled as “leaks” or “spills,” government reports examined by the BGA also pointed to at least two dozen other cases of contamination classified only as “releases,” a catch-all category for problems that are sometimes unclear. These releases were reported after tritium was found in water sources on the plant that are supposed to be protected from any radioactivity, including storm sewers. 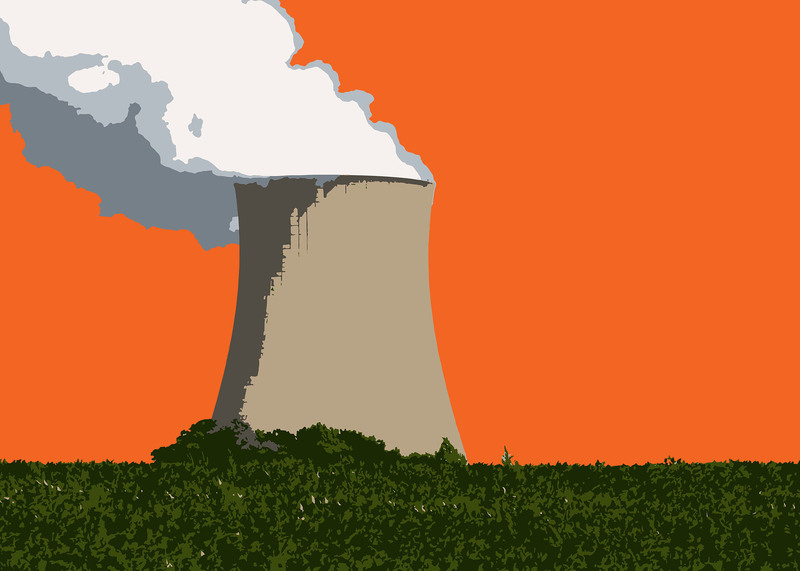 While the NRC and Exelon insist none of the releases threatened public health or the environment, experts say the presence of radioactivity where it shouldn’t be still points to potential problems. “When you find something in a place that it shouldn’t be, you find out where it came from and make sure that’s patched,” said Lochbaum, a nuclear engineer, former NRC employee and director of the Nuclear Safety Project at the Massachusetts-based scientists group. Yet, in most cases, federal public records fail to show if Exelon ever identified how radioactive waste ended up in the wrong place. The company is only required to provide rough estimates of the volume and levels of radioactivity of the releases and rarely provides more details. At the state level, record-keeping on many incidents was also spotty, the BGA found. That’s despite a 2008 Illinois law, passed in response to the previous series of incidents, that required nuclear power plant operators to report significant leaks in detail and notify the public about accidents. That law effectively puts the company on the honor system, deputizing Exelon to identify its own leaks to state officials. The state, in turn, is required to inspect each plant four times a year to ensure compliance. Yet a BGA review of Illinois records found state inspectors confined reviews to Exelon’s reports and didn’t conduct independent water testing to verify the company reported all accidents or leaks. IEPA officials defend the law, saying they can conduct their own investigations if they find anything in the paperwork that raises questions. Even so, IEPA spokeswoman Kim Biggs said such investigations have never occurred. At an IEPA inspection at the Braidwood plant last spring, records show Exelon staff told investigators that “to the best of their knowledge” there had been no recent accidental releases. Inspectors documented that this “appeared to be the case” and determined Exelon was in full compliance with the law. Four days later, Exelon notified the IEPA it identified a spill that released the 35,000 gallons of radioactive water during the previous two weeks — including the time in which state inspectors were physically on plant property. In response, the IEPA issued a warning to the plant and required Exelon to investigate the extent of the damage. Exelon promised to monitor and remove as much of the groundwater contamination as possible. In addition to the state reporting law, the 2006 disclosure of earlier Braidwood leaks also led to a lawsuit filed against Exelon by Attorney General Lisa Madigan and prosecutors in Will, Grundy and Ogle counties. That suit was settled for $1.2 million with Exelon’s agreement to pay a combination of fines and fund environmental programs. Prior to the settlement, Exelon drew a stern rebuke from Will County State’s Attorney James Glasgow, who accused the company of putting its profits above the health of local residents. Exelon says leaks reported over the last decade were confined to its own properties or storm sewers. In each case, the NRC deemed the spills to be inconsequential to human health or the environment. That said, an NRC post mortem on the earlier set of spills at Braidwood took note that on-site contamination may not stay on-site forever. By law, the state EPA has the power to pursue charges against Exelon for leaks that contaminate groundwater outside plant boundaries and for accidents involving a state-permitted underground wastewater pipe that discharges into rivers and lakes. The Braidwood leak earlier this year was related to such a pipe. According to the state EPA, Exelon avoided punitive action for groundwater pollution after the other leaks, even large spills, because the company gave assurances no contaminated water left plant boundaries, and the incidents did not originate with the state-permitted pipe. If a leak or spill occurs anywhere else at the plant and contamination remains on site, it is exclusively under NRC oversight. The NRC, which oversees all U.S. nuclear plants, doesn’t punish companies such as Exelon for polluting their own properties with radioactive waste unless it deems the accident a threat to human health or the environment. Despite reported high levels of radioactive contamination on site, the federal agency said each leak identified by the BGA was within federal limits, and has leveled no fines against Exelon in recent years. The thinking at the NRC, according to spokeswoman Viktoria Mitlyng, is that working with the plant to fix problems is more effective than leveling modest fines against a multi-billion-dollar company. “To me it’s big money but maybe to a big company, not so much,” Mitlyng said, referring to fines for what the agency considers minor incidents. Critics consider that assertion nonsense. A government body’s own staff is silenced in favor of arguments made by the power plant owners it oversees. In an industry that by its very nature is one slip-up away from catastrophe, the BGA finds a blurred line between the regulator and the regulated.